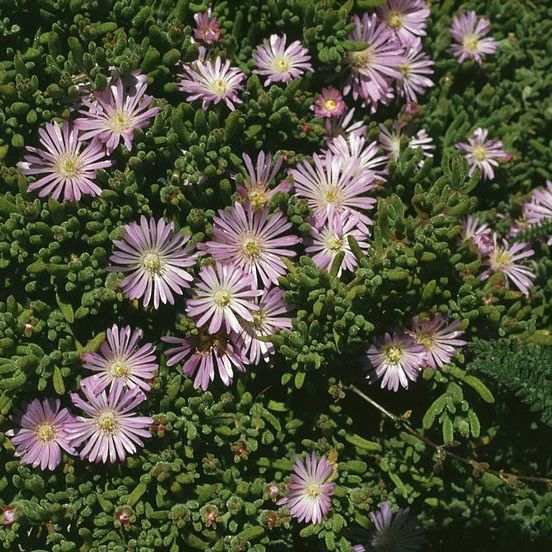 Masses of mauve-purple flowers opening with the sun. Glossy shiny succulent leaves form a carpet for a rockery or pot. Grow in a dryish situation.